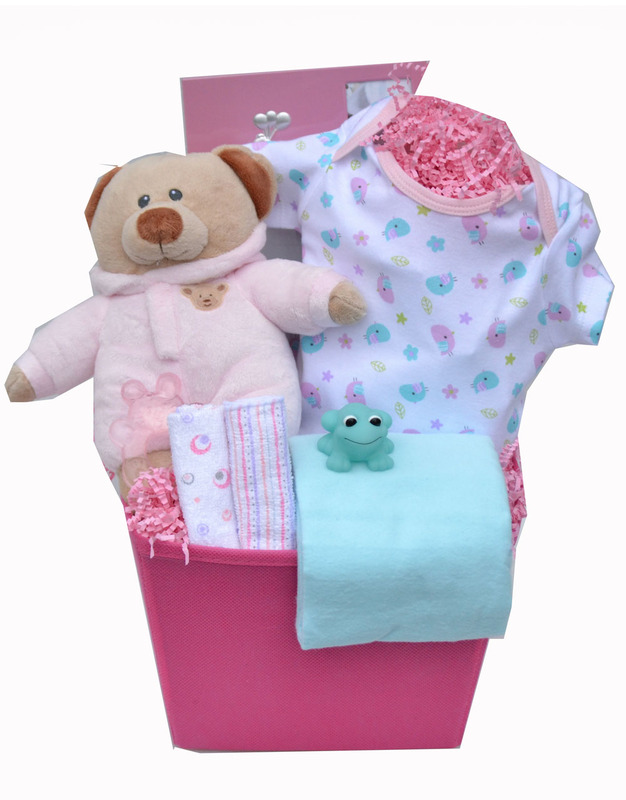 New Arrival is one of our most popular baskets, filled with adorable items for the bundle of joy. Presented in a canvas basket it is available in pink ou blue. New Arrival available in pink, blue or neutral.